September 28th 2016 – Manching, Germany. Since beginning of September the development of a common European drone has entered a new phase. The contract for the Definition Study of the European MALE RPAS (Medium Altitude Long Endurance Remotely Piloted Aircraft System) Programme, assigned to Airbus, Dassault Aviation and Leonardo-Finmeccanica has been launched by a kick-off meeting chaired by the Organisation for Joint Armament Cooperation (OCCAR) with the attendance of the programme participating States France, Germany, Italy and Spain. MALE RPAS will be a new generation remotely piloted air system for armed Intelligence, Surveillance, Target Acquisition and Reconnaissance (ISTAR) missions. Air traffic integration and certification for European densely populated environment are part of the key distinctive objectives of the programme. The two-year definition study starts from September 2016. It will be jointly executed by Airbus Defence and Space, Dassault Aviation and Leonardo-Finmeccanica Aircraft Division with an equal work allocation. The three companies are co-contractors to perform the definition study. Following the study, the start of the development phase is planned for 2018, with a prototype first flight in early 2023 and a first delivery of the system in the 2025 timeframe. Operational requirements of the nations will be defined in close cooperation with the Armed Forces. “Successfully teaming European nations, industries and defense ministries to improve sovereignty and independence is an outstanding mission, and today marks a new milestone in this innovative partnership” said Dirk Hoke, Chief Executive Officer of Airbus Defence and Space. 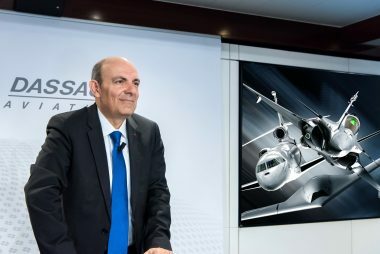 “This cooperative programme will contribute to European Industry leadership and autonomy in the strategic field of surveillance drones and will provide Armed Forces with high performance and sovereign operational systems” emphasized Eric Trappier, Dassault Aviation Chairman and Chief Executive Officer. “The European Male RPAS programme is a unique opportunity to promote the development of high technologies expertise, capabilities and jobs, of fundamental importance within Europe. Technological and operational sovereignty will be delivered to Nations, relying on the experience of decades of European cooperation in military programmes,” said Mr. Filippo Bagnato, Leonardo-Finmeccanica Aircraft Division Managing Director. Previously known as MALE 2020 Project, the European MALE RPAS Project foresees the development of an European Unmanned Aerial System for long-range missions at medium flight altitudes (MALE). Besides being an answer to the European armed forces’ requirements, it will take into account the need to optimize budgetary resources through pooling of research and development funding. With a European development, critical requirements around the certification of drones and sovereignty of operations by Armed Forces are inherently built into the programme from the onset. The European MALE RPAS is orientated to foster the development of high technologies and will contribute to sustaining key competencies and jobs within Europe. With more than 8,000 military and civil aircraft delivered to more than 90 countries over the past 60 years, and having logged nearly 28 million flight hours to date, Dassault Aviation can offer recognized know-how and experience in the design, development, sale and support of all types of aircraft, from the Rafale fighter to the Falcon range of high-end business jets, as well as military unmanned air systems. 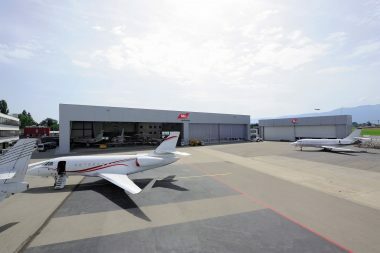 In 2015, Dassault Aviation reported revenues of €4.20 billion. The company has almost 12,000 employees. 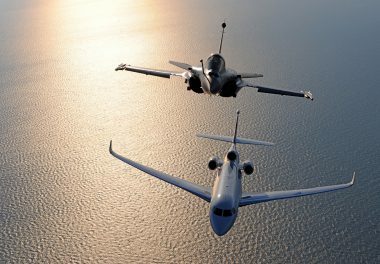 In 2016, Dassault Aviation is celebrating the first centennial of its history, which started in 1916 with Marcel Dassault and the Éclair propeller. Leonardo-Finmeccanica Aircraft Division in one of the Leonardo-Finmeccanica’s business divisions. Leonardo-Finmeccanica is among the top ten global players in Aerospace, Defence and Security and Italy’s main industrial company. As a single entity from January 2016, organized into business divisions (Helicopters; Aircraft; Aero-structures; Airborne & Space Systems; Land & Naval Defence Electronics; Defence Systems; Security & Information Systems), Leonardo-Finmeccanica operates in the most competitive international markets by leveraging its areas of technology and product leadership. Listed on the Milan Stock Exchange (LDO), at 31 December 2015 Finmeccanica recorded consolidated revenues of 13 billion Euros and has a significant industrial presence in Italy, the UK and the U.S.
Press Release "European MALE RPAS (Medium Altitude Long Endurance Remotely Piloted Aircraft System) Programme takes off"
Communiqué de Presse "Le programme de drone européen MALE RPAS (Medium Altitude Long Endurance Remotely Piloted Aircraft System) décolle"